Hector was born at Terang, Victoria, Australia on 24 February 1890, the eldest son of three boys and four girls, of Joseph Sitherwood and Annie Jane (nee Hobson) Saunderson. His father Joseph, was born in Belfast Northern Ireland in 1864, and died in Wellington on 14 January 1904. His mother Annie, was also born in Belfast in 1867, and died in Wellington on 1 September 1917. In 1902 Hector was admitted to the Oamaru South School, having previously attended the Kaikorai School at Dunedin. He was a keen tennis player, and prior to enlisting at Timaru on 11 August 1914, Hector was employed as a draper’s assistant at the Canterbury Farmers, Timaru. 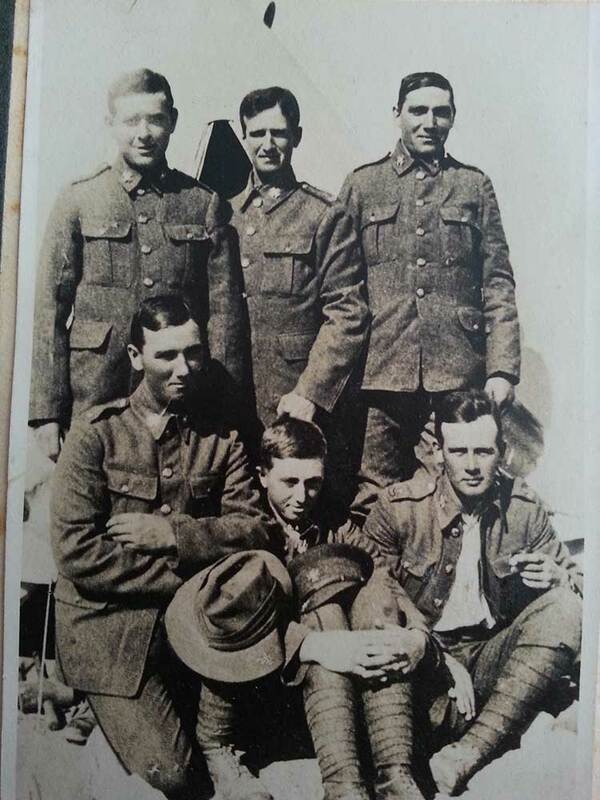 On enlistement Hector was aged 24, and described on his enlistment papers as being single, 5 foot 8 ½ inches tall, weighing 130 pounds, having a light brown complexion, blue eyes, light brown hair, chest measuring from 32 to 36 inches, Methodist, having an upper plate of teeth and a hairy patch over his right shoulder, the size of the palm of a hand. He nominated his stepfather, Mr Trevor MacGowan of TeWeka Street, Timaru, as is next of kin (his mother Annie had remarried in March of 1906). After initial training, he left from Wellington aboard the Tahiti or Athenic, with the Main Body on 16 October 1914, and arrived in Alexandria on 3 December. He embarked from Egypt for service in the Dardanelles on 17 April 1915, and on 9 May was admitted to the Stationary Hospital, ANZAC, suffering from gastro enteritis. On 10 May he was transferred to the 1st Australian General Hospital at Heliopolis suffering from dysentery and teeth problems. 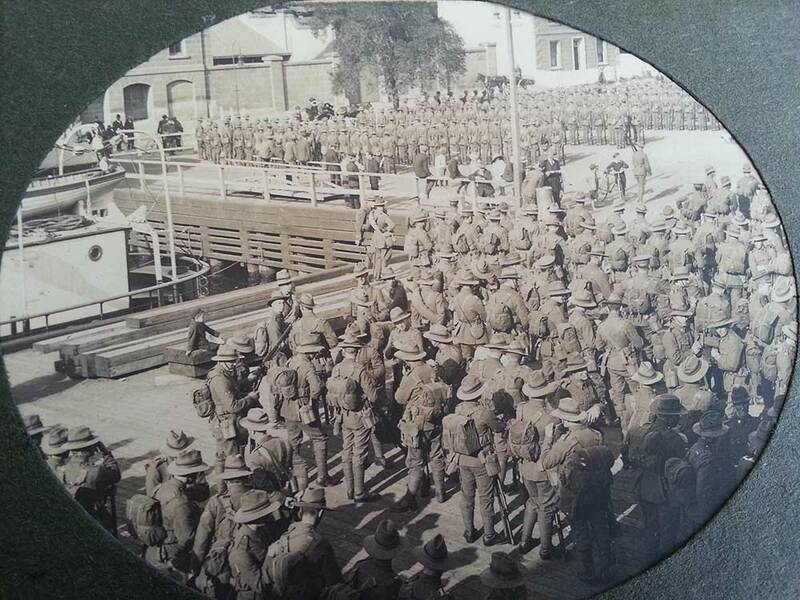 From there he was transferred to Alexandria on 12 June, and attached to the NZ Advanced Base at Mustapha. 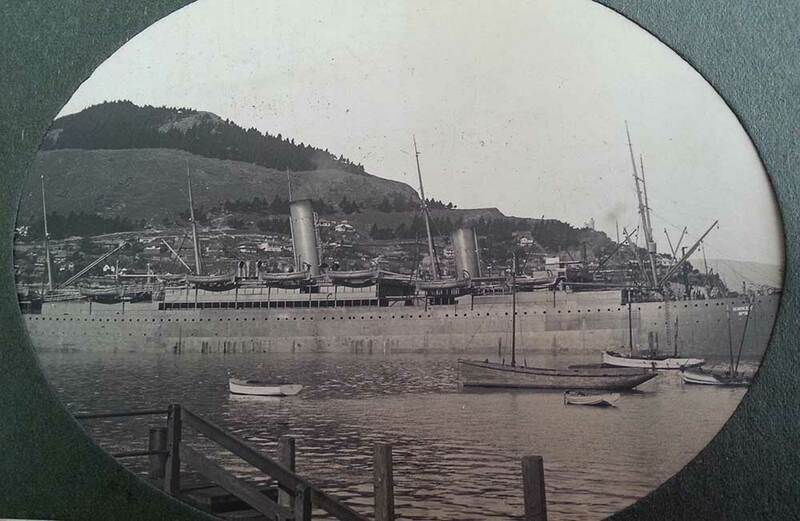 On 7 August 1915, he was shipped aboard SS Tahiti for return to NZ, suffering with chronic gastritis, arriving back there on 11 September 1915. Hector was finally discharged from the army on 30 October 1915, unfit for further military service, having served a total of 1 year and 58 days. For this service he was later awarded the 1914-1915 Star, British War Medal and Victory Medal. On 30 March 1920, Hector married Miss Ida Curtis at the Methodist Church, Remuera, Auckland. They were to spend the rest of their lives in the Auckland area, and raised three children, Raymond born 1921, Lesley born 1923, and Beverley born 1926. Hector carried on working in the drapery trade and continued his interest in playing competitive tennis. In 1919 he was employed as a drapery salesman, 1928 as publicity manager for John Court Ltd, Auckland, and 1938 as an advertising manager. Hector died at Epson, Auckland, on 20 May 1950, and was buried in the Purewa Cemetery on 22 May in Block J, Row 5, Plot 12. His wife Ida died on 15 April 1958, and is also buried with her husband.